Arnica for dogs – How beneficial is it? Arnica is a herb used to relieve aches, bruises, sprains, swelling, etc. it is used as a homeopathic medicine in diluted form a larger doses can be harmful. Arnica belongs to the sunflower family and the name is derived from the Greek word arna meaning “lamb” due to its soft and hairy leaves. Arnica gets its anti-inflammatory properties from the lactone present in it called helenalin and this is used in many preparations to prevent inflation. Arnica has been used medicinally since around the 16th century. It is used is liniment and ointment preparations that can cure strains, stress, sprains, bruises, etc. the benefits of arnica have been suggested for osteoarthritis, post operative swelling and pain as well. It is used by athletes to treat minor injuries from overexertion of muscles and joints. Arnica can recover stiff and sore muscles that are typical in athletes from workouts and competitions. It relieves pain without any doping effects and this is very helpful. Dogs are quite prone to muscle stiffness and joint swelling as they age and even sometimes get affected by arthritis. Being homeopathic, Arnica for dogs is suggested for use by them. The diluted form is prescribed. It should not be assumed that since the quantity is less, more of the product would be better. 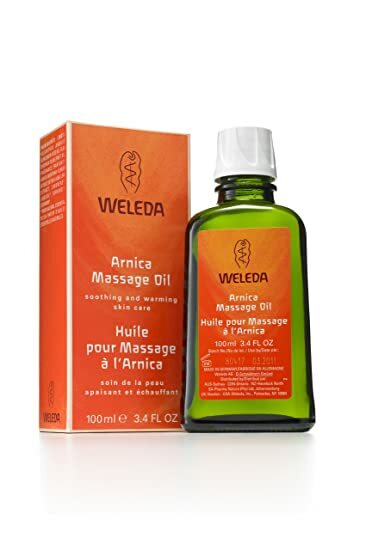 Arnica can be applied to the skin of the dogs when affected by insect bites, muscle and cartilage pain, etc. This is possible when the Arnica is in cream, gel or oil form. It can be applied in the affected area of the sprain, arthritis, internal injuries, etc. It can even be used for sore throat and mouth. Arnica for dogs is also useful for injuries to the brain or spinal cord. It can be used to cure emotional trauma. Arnica can be given in small doses for a few days and it is adviced to stop the dosage when results are seen to prevent an overdose. Overall Arnica essential oil is beneficial for both for health and beauty. The plants are grown using biodynamic methods and therefore it is safe to use without any hard effects on body. When your dog is injured, you may be hesitant to use something immediately on the injury in fear of making the injury worse or from lack of knowledge. Arnica for dogs is a safe homeopathic product that you can use without any such inhibitions. It does no damage in small quantities and can be safely used to relieve the pain caused by slight to moderate trauma. In most cases, your dog would be in better condition by the time you reach your vet.